As we look at this year with fresh eyes for creativity, it would be remiss not to talk about the Mash Up. What is a Mash Up you ask??? Well, it is simply combining two patterns together to get a whole new look. If you are new to altering and adapting patterns, mash ups are a great place to start becasue they show you that there are options and that a pattern DOESN'T have to be sewn as written! 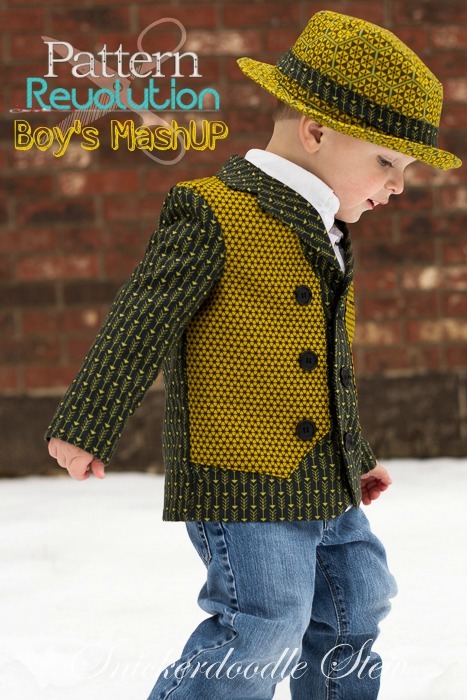 With the magic of mash ups, you can extend a small pattern collection into quite a wardrobe. I could never talk about this subject without pointing you toward our own mash up guru - Jessica Stewart. Jessica has given us every type of mashup imaginable from the basic bodice swap to the killer double layer vest jacket. Check out some of my favorite Mash Ups from Pattern Revolution history and get inspired for your own mash up! Stick with us all week for new inspiration every day!! !